Business has changed. We hear this all the time. Many entrepreneurs have decided that it’s not enough to offer a solution to a consumer problem to make money. Instead, they set out to solve a problem and have a positive social or environmental impact. These Social Enterprises have been around a long time, but their united force is growing and expanding across the world. So, here at the Huron Small Business Centre we asked ourselves if we were well equipped to help coach and support these social entrepreneurs, and the answer was no. In 2017, we joined the Social Enterprise Southwest Partnership to learn more about social enterprise, how they’re changing the business landscape, and how we, as coaches, can better serve these social entrepreneurs when they arrive. We’re now pleased to share that we’ve consulted with more than 20 social enterprises in Huron County in a variety of industries from Agriculture to Doula services. Why did you decide to operate your business as a social enterprise? Kirston: As I was in the stages of growing my business, I was completely oblivious to what it meant to be a "social enterprise". It wasn't until I met with a coach form our Small Business Centre that I learnt my business concept was in fact a social enterprise. My business goals have always been about responding to the needs of my target audience, removing obstacles to their support, and making an impact in their lives. I can't imagine not having a business model that didn't strive for inclusion. I believe social impact is something that is valued more in my generation. I hope it becomes a part of our business culture that we pass on to the next generation. David: Business is about solving a problem or satisfying a need for the consumer. This simple idea has created the powerhouse that is the business world. So why not use this powerhouse to solve the social and environmental problems that exist. Jef and I both love business, but we knew we didn't want to be just about the money. We wanted to use the resources of the business world to make a difference in the lives of farmers around the globe. How is being a social entrepreneur different from running a traditional business? Kirston: The most notable difference I've witnessed between being a social entrepreneur and operating a traditional business, would be the imperative nature in having your team/staff share your values, passion and zest. Striving for social impact alongside monetary gains is not always a straight road. There is a ton of work that goes into this process. If my team didn't share a similar moral compass, they surely would have checked out. I'm so thankful to them and how they celebrate the impact we are making. David: Honestly, it’s very similar to running a traditional business. You need to take care of the accounting, marketing and strategy just like any other business. However, there is always an extra step. When we make a decision about the business, we don't just look at the financial profit from the decision, but also the people and planet profits. All three need to be positive to move ahead with a decision. It’s all about that triple bottom line. How do you think your experience differs from traditional business owners in terms of business coaching? Kirston: Having a business coach who specializes in social enterprise has been very helpful. The unknowns and grey areas that were present with another coach were not there with a social enterprise coach. Having a coach with that extra knowledge and a social enterprise lens was a great asset. David: For Jef and I, our coaching path has been different than most. With a fairly strong background in business education, our coaching has been focused more on the social side of the business. We are constantly trying to find new ways to deepen our social impact and connect these ideas with traditional business practices. The great thing about social business is that often by improving the profits in one category (people or planet), you are able to increase the financial profits as well. This creates a powerhouse beyond the traditional business powerhouse. What help or support would you still like that is unique to social enterprises? 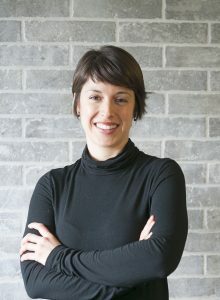 Kirston: I believe the support most unique to social enterprise, and that is of value to me, is the facilitation of connections that happen with other passionate and driven social entrepreneurs. The connections made broaden into a community of authentic support. David: For social businesses, a large part of your business is your story. How did you get to where you are today? Homegrown has a pretty intense story, but we (like other social entrepreneurs) don't always know how to share that story. More storytelling! I’d like to close with a comment from one of our other Social Entrepreneurs, Dory Montague of Dory’s Not Naughty Biscotti, on the power and potential of social enterprises to offer to a better future. All businesses need to consider how they adapt from traditional models. Business owners have the opportunity to have a positive impact on our society. Social Enterprises are paving the way for contributing to the betterment beyond their respective sectors. Traditional business models stand to receive significant gains by making choices that may appear to be negatively affecting their bottom line; however, good will and conscientiousness (which can be measured) compensates for this perceived loss. Learn how YOU can create and support positive social and environmental impact in your community!